Jen is The Yoga Room Studio Manager. Jen was drawn to the world of movement at the age of 15, joining the Inertia Dance Company in her home town of Baltimore, MD. Her love of trying new experiences led her to yoga, where she was deeply moved not only by the physical aspect of yoga but also the deeper understanding of her body that she gained from continuous practice. 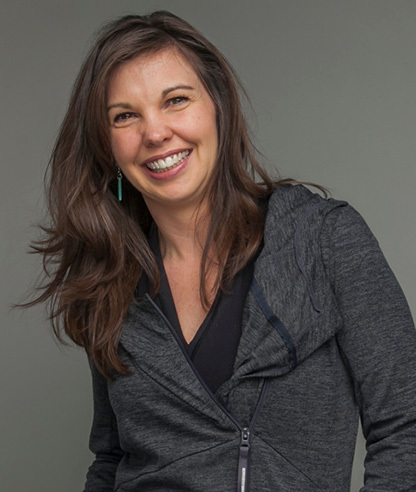 After avidly practicing many different styles of asana over the past seven years, Jen received her 200 hour certification in Vinyasa Yoga from New York Yoga. She has since studied under Jillian Pransky to gain her Restorative Yoga certification as well as with Biff Mithoefer to receive her Yin Yoga teacher certification. Jen has since dedicated her teaching to the challenging practice of deep relaxation and she continues to enjoy sharing her experiences with others.